Both Albright and Steinem’s comments were widely reported and one— the fact that Albright had been repeating her “hell” comment for years and “never gotten a negative response before” —got me pondering. I hate being shamed. 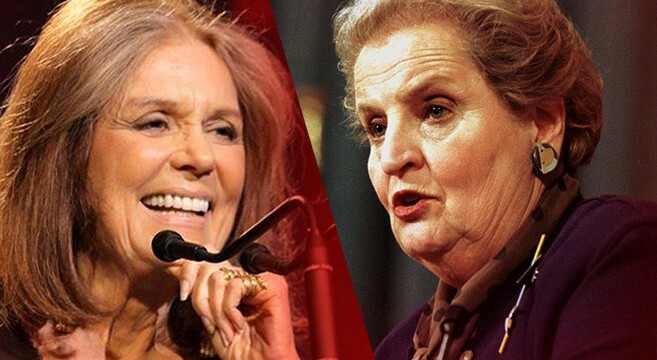 Five years older than Albright and a year older than Steinem, I totally identify with the younger women. I was a chubby child and a shaming comment from a girlfriend about my weight was part and parcel of how I learned to reject shaming and value my right to be accepted for who I was. The same can said for these young women. Riley noted that the women were so upset, they vowed not to vote at all if Hillary became the nominee. When an older woman, a “grandmother type” like Albright chastises the younger generation for disloyalty to gender in this age of Facebook, Twitter and U-Tube transparency, it’s gender/feminist politics from another era misplaced. I am grateful to have lived through that time when Betty Freidan and Gloria Steinem birthed the feminist movement. These women mentored me from afar. “Freidan’s book, The Feminine Mystique was published in 1963, the year my second child, a daughter was born. I was 31 years old, with an MSW in psychiatric social work, missing and wanting to continue in my career while needing and desiring to be a hands on mother, “exceptional” cook and wife. Friedan’s first chapter caught me up short, “We can no longer ignore that voice within women that says, I want something more than my husband and my children and my home. She spoke to me; she still does. The fact is that millennial women— like my social worker daughter and her two daughters—were raised with the right of a woman to explore her own passions and point of view. I am grateful that Steinem apologized once she appreciated her implied insult to young women. I am grateful for Albright’s candid response and her mindful assessment of the timely need for women of all ages to come together and have a conversation about how to preserve what women have gained, including the right to make our own choices, and how to move forward together. This entry was posted in Currents, Mindfulness, Relationship(s), Uncategorized, Well-Being and tagged Feminism, Feminist Battle, gender equality, Mindful Politics on February 15, 2016 by fayewriter. I agree with your final comment entirely with respect to Albright’s response of the need for all women to come together now. In this coming together, perhaps we can refresh the memory of the younger female generation of all that Hillary has accomplished for them. I feel that’s all we have the right to do. Then it’s their choice about voting for Hillary or not! Like the powerful undertow at the ocean, women of all ages cannot be thrown over by the waves of shame. Thank you for your keen observation and commentary. Great post. Thanks Faye. This was a thoughtful response to one key moment, among many, in this election year full of surprises and signigance.